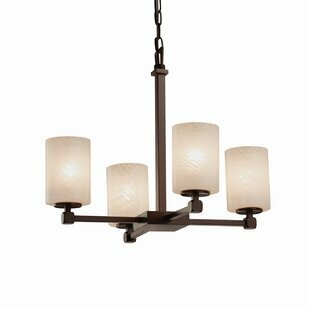 This features etched glass with transitional elements. 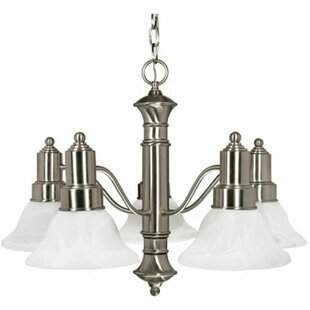 Simplified vintage style. 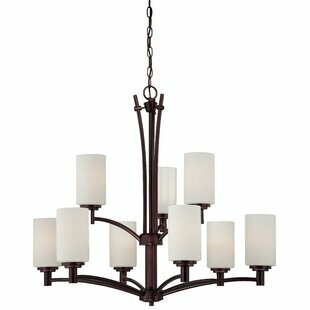 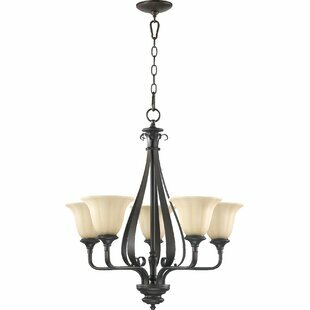 5-Light reversible chandelier. 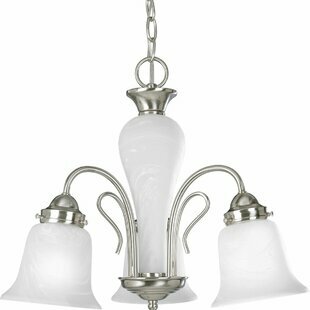 Glass can be reversed to cast light up or down. 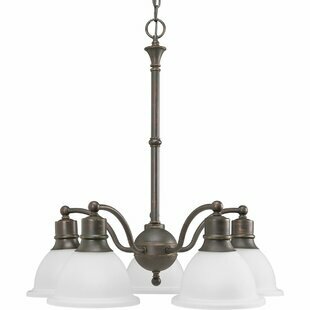 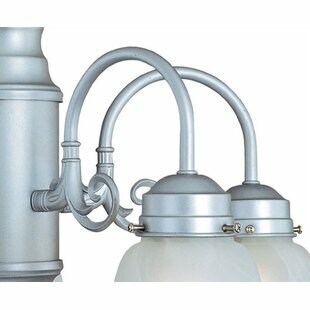 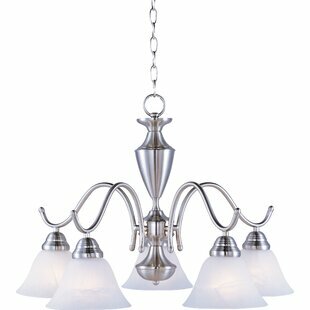 Number of Lights: 5 Fixture Design: Shaded Chandelier Adjustable Hanging Length: Yes Fixture: 25 H x 24.625 W x 24.625 D Overall Weight: 20.4lb.